The day promised to be wet and grey. We woke up to rain and a forecast of more of the same. But the clouds parted shortly after noon and graced us with sunny skies for the rest of the afternoon. We woke up well rested and hungry. Found a lovely breakfast near our hotel and then tackled the London Underground without much difficulty, switching to the National Rail for the train to Hampton Court. 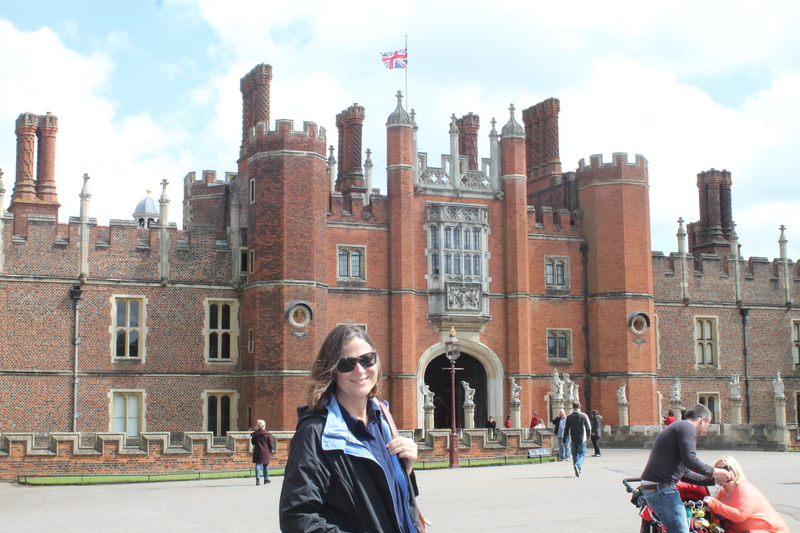 Built, originally, in the 16th Century by Cardinal Wolsey under the good graces of Henry VIII, Hampton Court was expanded by Henry himself once Wolsey lost favor through his inability to negotiate an annulment from Catherine of Aragon so that Henry could marry Anne Boleyn. But you “Wolf Hall” fans already know all this. 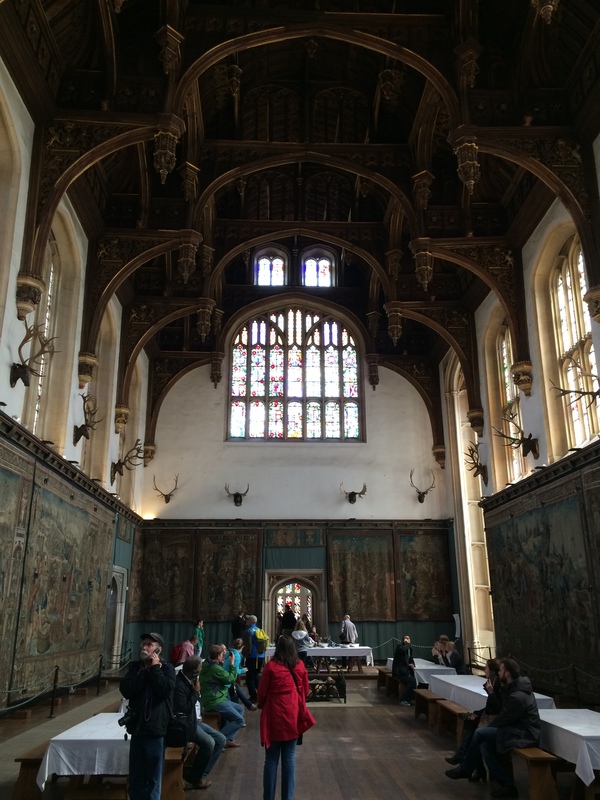 After Wolsey’s downfall, Henry made it his personal residence and began significant expansions including construction of the Great Hall during the time of his marriage to Anne Boleyn. The Great Hall was his tribute to Anne and the site of lavish entertainment with dignitaries from the world over. Henry made sure that not only the finest English dishes were served, but also examples of cuisines from all over the known world. 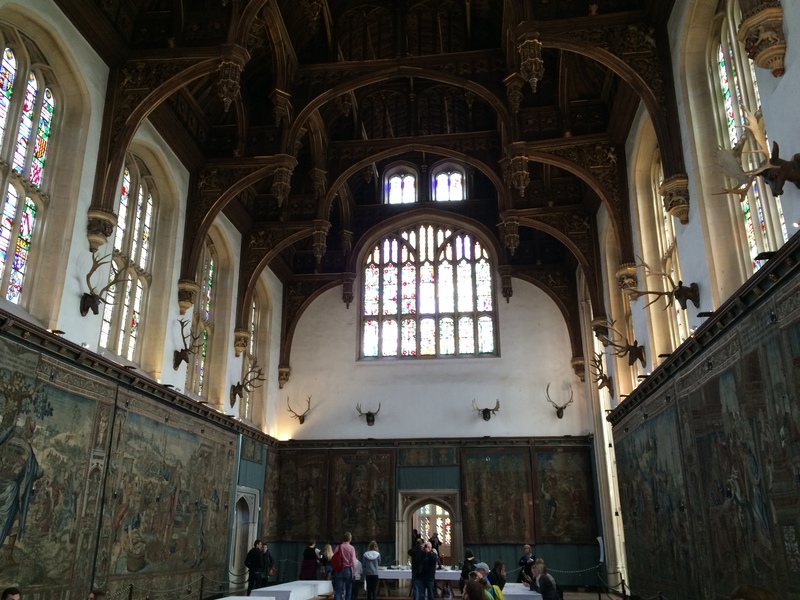 Of course the Court outlived Anne, and Henry continued to live there with each of his next four wives including the hapless Catherine Howard, beheaded for adultery at the age of 19. They say her ghost still walks the halls. We didn’t see her. Hampton Court continued as the royal residence until the 18th Century and was, again, expanded upon by William III and the Hanovers. 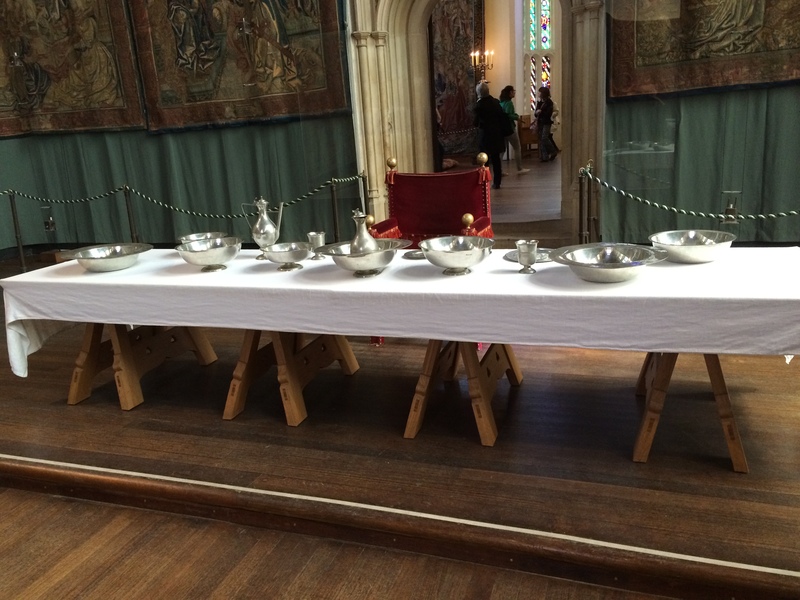 But our interest was mostly in the Henry VIII era so that is the section we explored. They’ve done a fabulous job of preserving the rooms. It is easy to breathe deep and take in all the history that has happened there. I don’t know about Catherine Howard, but I think if you squint a bit you can see Thomas Cromwell or Cardinal Wolsey standing in the shadows. All that history made us hungry so we stopped off at the Cardinal Wolsey pub for Sunday Roast (passing Sir Christopher Wren’s house along the way). Then rode the trains and Underground back towards “home, getting off a few stops early so we could explore and try a few more pubs. Tomorrow it’s up and out early to visit Westminster Cathedral, St. Paul’s, Trafalgar Square and the Tower of London.